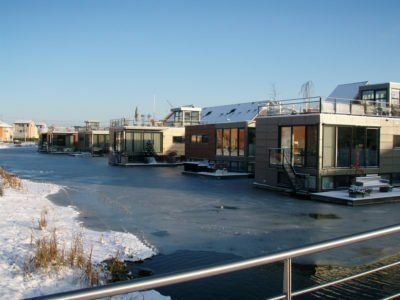 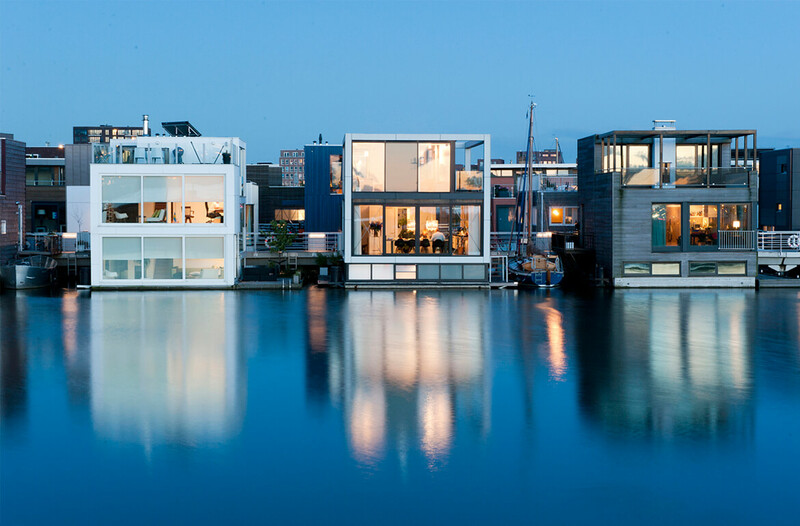 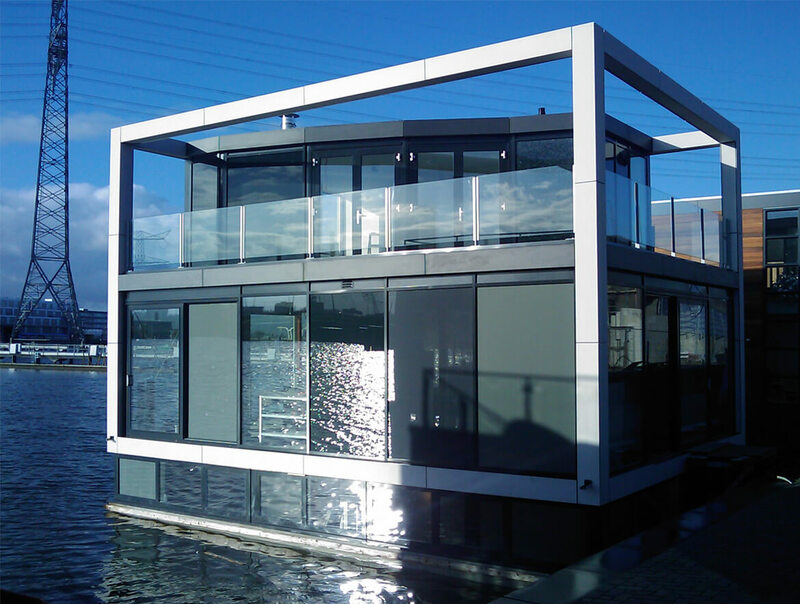 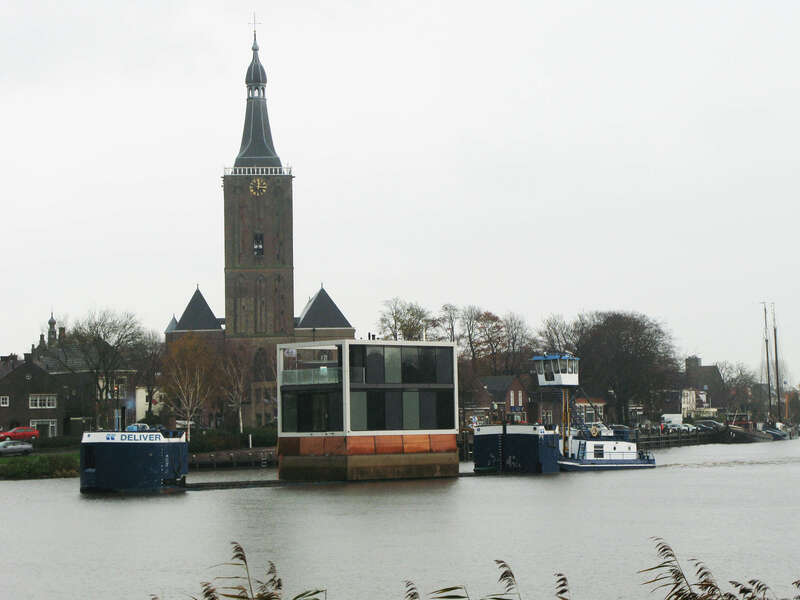 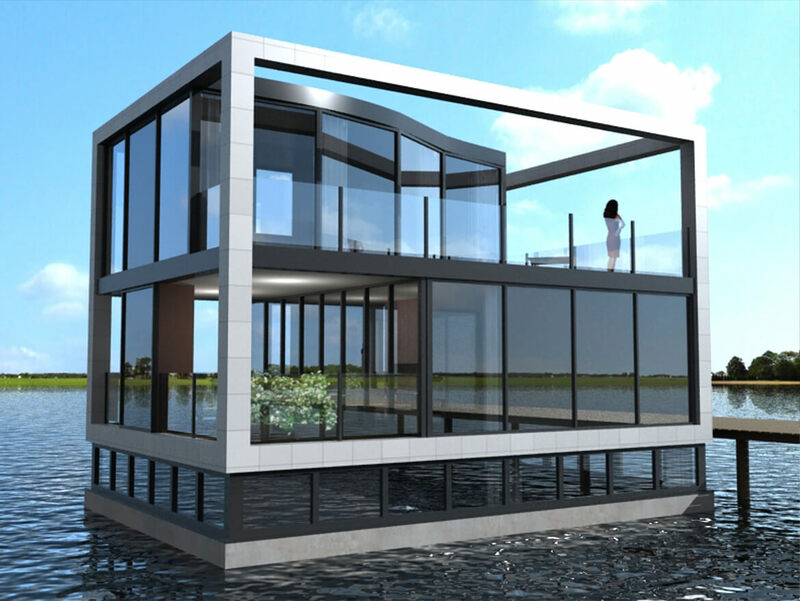 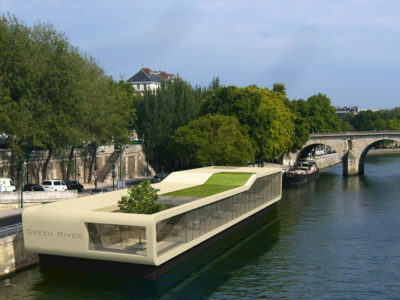 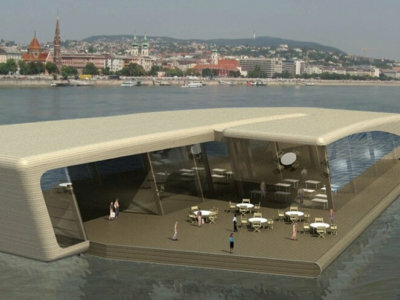 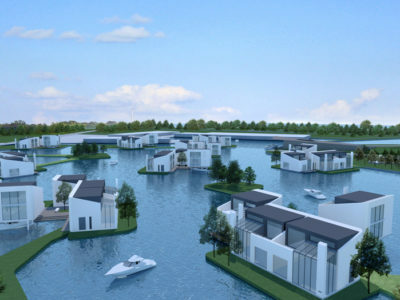 This watervilla for IJburg measures roughly 7x10m in floor plan and consists of three storeys. 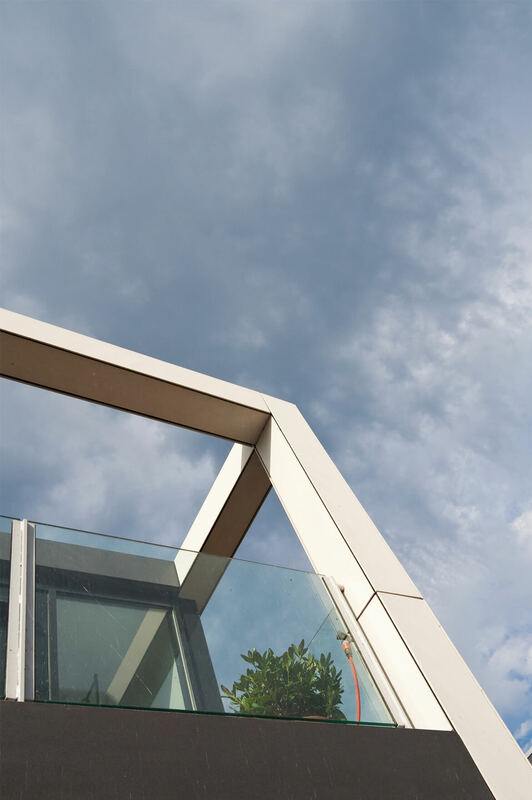 The upper level of the villa only occupies half of the surface, creating a spacious roofterrace which is outlined by the distinctive white frame. 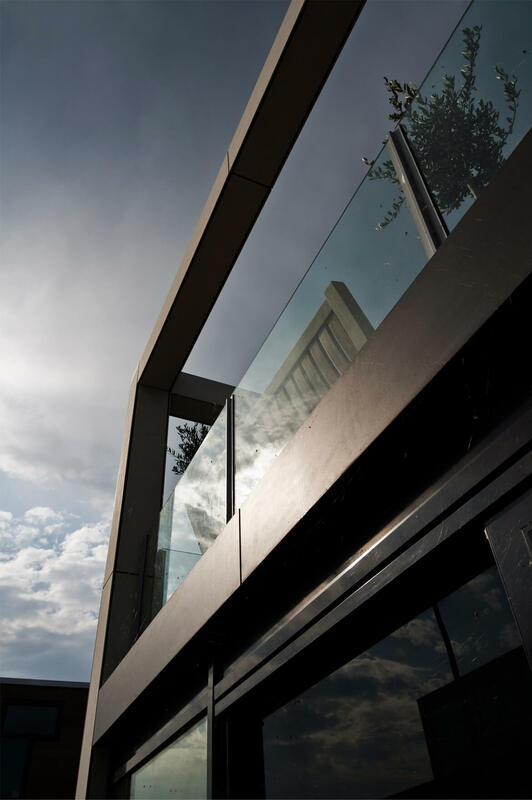 Within this light framework, glass panels with of slightly different colors are used, adding subtle variation and playfulness within the otherwise austere shape.